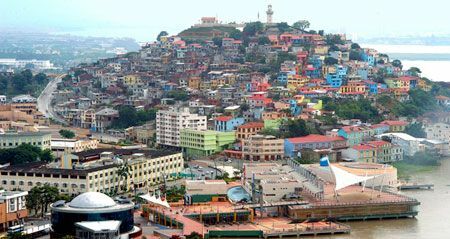 A new low cost carrier launched a new route between JFK in New York and Guayaquil, Ecuador. Emirates has been awarded as the Best Airline in the World in the inaugural TripAdvisor Travelers’ Choice® Awards for Airlines. The carrier also gets four more awards including Best Major Airline - Middle East & Africa, Best Economy Class, Best First Class and World’s Best Airlines - Top 10. Airports, along with industry partners and governments, put security as a top priority and understand the need to implement measures rapidly when a heightened threat level is identified. However, information sharing and coordination on security measures among governments and with the industry is also crucial to ensure effective security. United make a mistake in calculating the number of passengers on an April 9, 2017 United Airlines flight from Chicago O'Hare to Louisville. Videos of a United Airlines passenger being forcibly dragged from his seat to make room for airline crew members go viral. Videos have been viewed more than 1 million times, and the airline's CEO on Monday called the incident "an upsetting event to all of us here at United." Volotea launched flights from Vienna Airport to the French cities of Nantes and Marseilles, and will also inaugurate flight service to the Italian seaport of Genoa. Saudia Airlines on April 6 launched regular direct flights from Jeddah to Port Sudan in Sudan. Port Sudan marks the carrier’s second new route for 2017. The first flight between two cities is carried on an A320 aircraft with a capacity of 132 seats. The plane landed Port Sudan International Airport at 16.20 local time and welcomed with a water cannon salute followed by a reception at the airport. Did you see Emirates' new AC Milan livery? Emirates and AC Milan surprised travelers at Milan Malpensa International Airport with the unveiling of an A380 sporting a special AC Milan livery. Some of AC Milan’s top players welcomed the aircraft and took some selfie. You may have noticed that airfares change all the time. A new airfare study crunched 921 million airfares from 2.9 million trips to find the best and worst times to buy an airline ticket. For the second consecutive year, the study found that 54 days out is, on average, when travelers can get the best deals on domestic flights. However, the best timing depends on when and where passengers fly. Backed by Boeing through its Boeing HorizonX innovation cell and JetBlue Technology Ventures, Zunum Aero, a pioneer in electric aviation, is developing regional hybrid-electric aircraft for the early 2020s, offering unmatched door-to-door speeds and reduced costs for flights from 700 miles at launch, to over 1,000 miles by 2030. In order to meet the growing demand for travel to and from Bali, Emirates will introduce a second daily service to the island of Bali in Indonesia, on 2 July 2017. Operated by Emirates’ Boeing 777-300ER aircraft in a two-class configuration with 42 seats in Business Class and 386 seats in Economy Class, the service will connect seamlessly with a number of destinations across Europe, including Amsterdam, Moscow, Paris and London. Will US grant approval for $5 billion aircraft order to Iran’s Aseman Airlines?